The PDAM seeks to continue to be able to improve the quality of its services through various planned development programs, and the PDAM is optimistic that it can serve 100% of the entire community of Bogor in 2019. At present, the number of Bogor household customers that have been served by the PDAM is 138,705 of the total households of 261,898 (BPS, Bogor City, 2017). 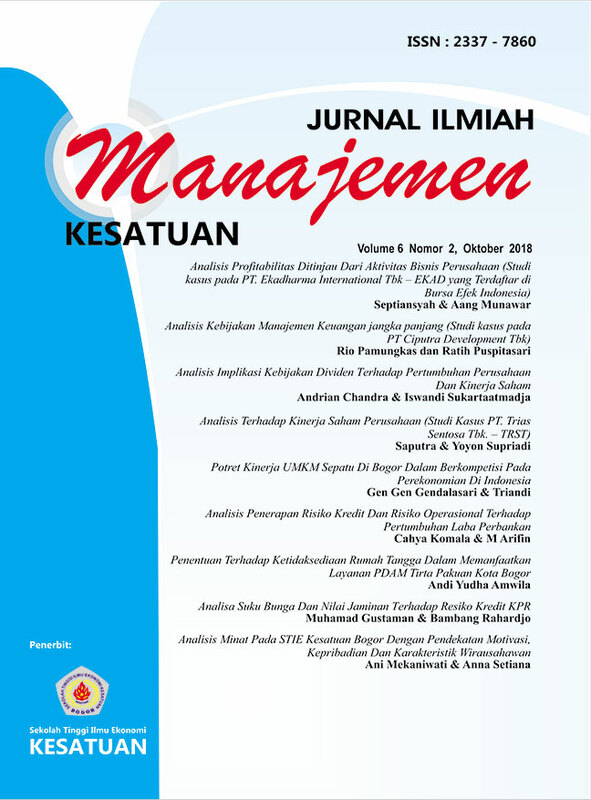 This study aims to determine the causes of some households in the city of Bogor who have not utilized PDAM services, using relationship analysis, and find out whether there is an influence of income and the availability of PDAM pipeline installation networks on the interest of households to become PDAM customers.